Turned round in less than a week from artwork sign off to deployment in Birmingham, our client knows that when they want Branded Brilliance we can deliver, they just need to turn up. When it’s all over on Thursday night, our clients have guests to entertain, so we go back in and dismantle, return to our warehouse and keep ready for the next show in a couple of weeks, but it’s not 6×6 – no problem, the stand is modular so we just reconfigure and customise to suit. Our hardware allows for a custom built display stand in a modular system. 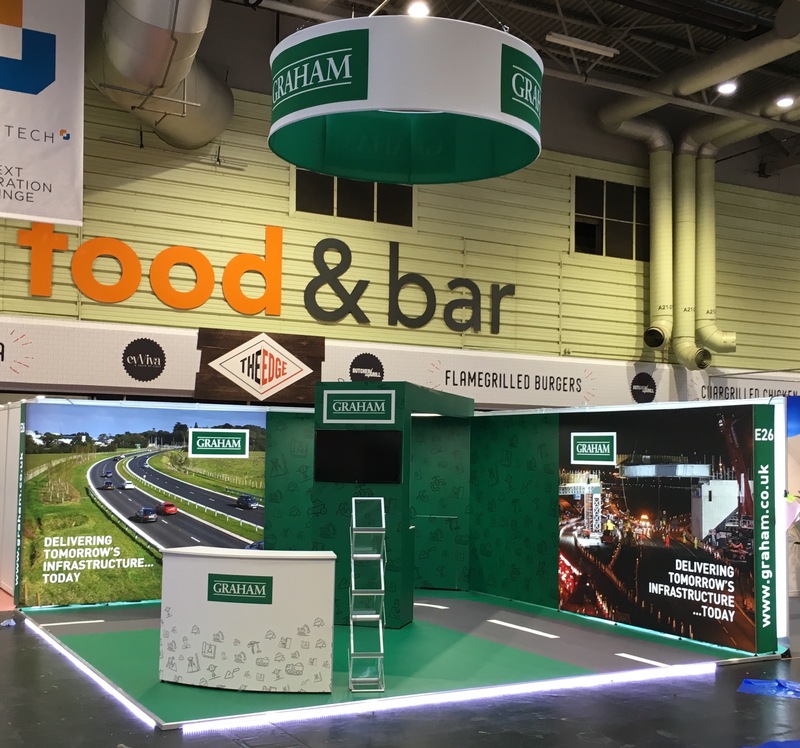 To find out more on exhibition excellence, read this article we published with our top tips and contact Tara (tara@minprint.co.uk) to arrange a meeting for some ideas.